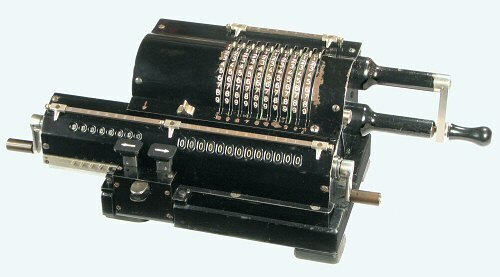 Facit's traditional pinwheel design was replaced by the ten-key Model T in 1932. The demand for the earlier design obviously continued, as Facit found it necessary to reintroduce a conventional pinwheel model in 1935. In spite of the name on the rear panel, the Facit Model S is actually an Original-Odhner Model 7. Odhner apparently had a working relationship with Facit long before they were taken over in 1942.